Sam and Kiran were hitched in a beautiful Sikh Ceremony on a sunny July day. They married at the Guru Nanak Gurdwara in Willenhall, surrounded by their loved ones. 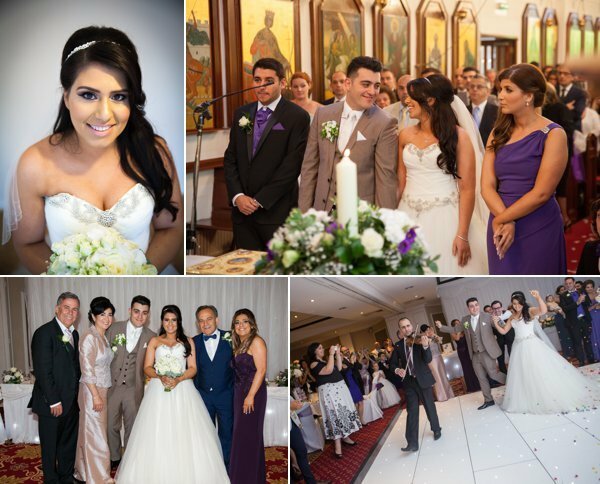 In the morning, Kiran got ready at her family home in Wolverhampton, where the talented Hair and Makeup Artist Lavoi Deo glammed up our beautiful Bride for her wedding day. Kiran wore a traditional classic-red Indian Bridal outfit set with stunning Jimmy Choo wedding shoes. Once she was ready, she was chaperoned to the Gurdwara by Finishing Touch Cars. Sam also got ready at his home in Sutton Coldfield with his main family surrounding him. He wore a striking gold and red Sherwani, which is a traditional Indian Groom’s wedding outfit. It was champagne gold in colour, with red accents and stunning embellishment. The couple looked like royalty together! Once their religious Sikh wedding was complete, the couple changed parts of their outfits before heading to their Reception party, which was being held at The Tower Ballroom in Birmingham. We took Sam and Kiran for a quick outdoor photoshoot before they made their grand entrance to celebrate their marriage. Traditionally, for the uninitiated, an Indian Bride leaves the party early to go home and await her new husband to pick her up and take her home. Before he is allowed to enter the Brides family home, he must barter at the door with the Brides sisters and female cousins. They tease him and he must offer them money in order to enter the family home. Sam was greeted by a “No entry without fee” barrier and an army of Kiran’s female family members. Once he was allowed in, the Doli ceremony began. This is where the bride emotionally says goodbye to her loved ones as she is taken from her home to start a new life as a married woman. The couple left to go to Sam’s family home, where they played a traditional game of “kangna” to welcome Kiran into their home. Where can we start with Ricky and Raj’s grand wedding day. We pulled out all the stops for this lovely couple, as they had one of the biggest weddings we have had the privilege of photographing and filming this year. Ricky started off his wedding celebrations at home in Birmingham with 2 days of pre- wedding events, which included his Maiya, Mehndi and Jaggo Party. Raj did the same at her home in Nottingham. We had a photographer and a videographer go out to both their homes to cover both the pre-events. 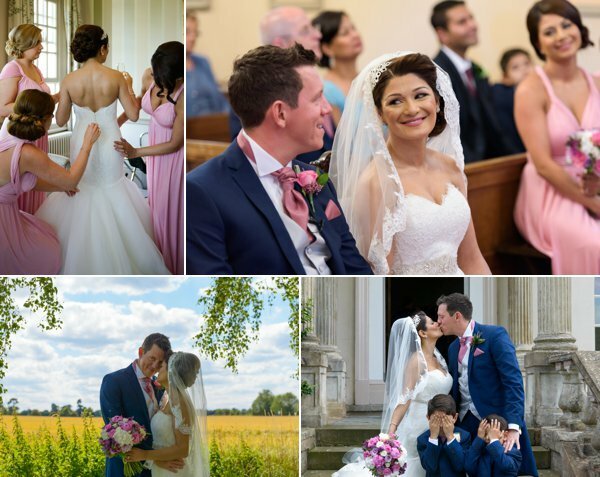 This gave us a chance to get to know them and their families in the run up to their wedding, which is always great because it allows our couples and families to feel comfortable around cameras and crew. On the morning of the wedding, Ricky got ready at home. He wore a traditional sherwani fit for a sikh wedding and looked like royalty. Before heading off to Nottingham, Ricky had a traditional send off with a little trek down his road on a horse and a live indian “band baja” to lead him and his family. Raj also got ready at home and wore a stunning traditional Indian wedding outfit. She looked truly beautiful! Following some family photo’s, Raj awaited the arrival of Ricky and his entourage to their family home. 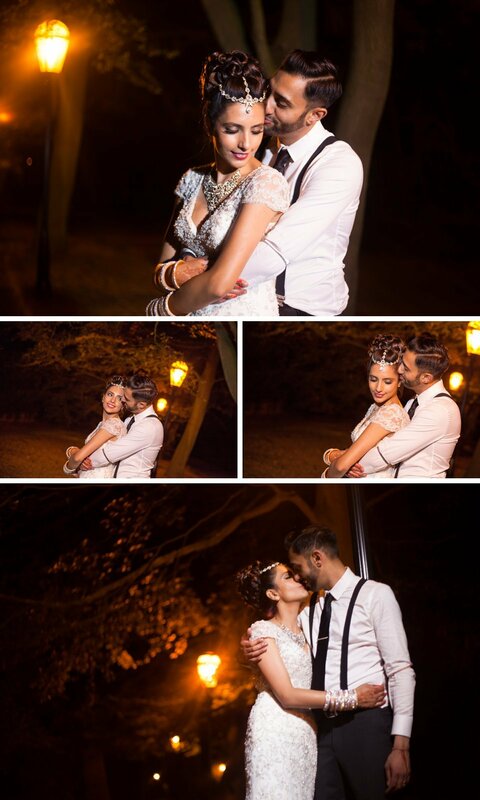 The couple then had a traditional sikh wedding at their Gurdwara in Nottingham. After the wedding ceremony, the newly married couple, along with their families and guests headed to Colwick Hall Hotel, for a grand wedding reception. We captured some photographs and video footage of the couple in their traditional Indian wedding outfits before they headed off to get changed for the wedding reception. 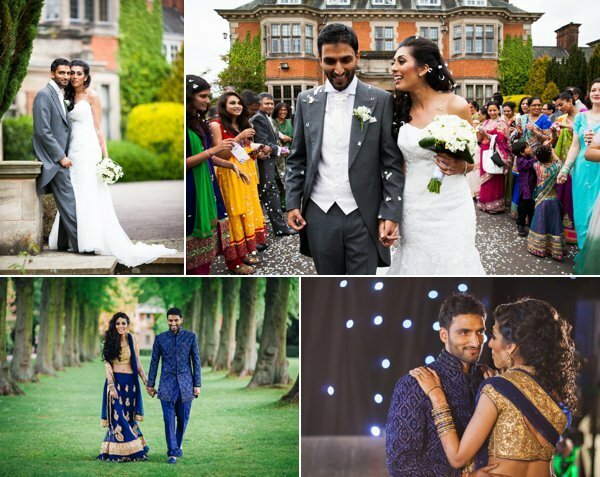 Ricky and Raj looked amazing in their reception outfits that we couldn’t miss the opportunity to take them around the grounds of Colwick Hall Hotel for a Bride and Groom photoshoot. The venue had a beautiful bright marquee set up in its scenic garden area. Diamond Weddings provided the reception decor, which included huge stunning centre pieces and a beautiful elegant glass-like top table. Just amazing! Shivam Events provided the canapés and 3 course meal and the couple had a surprise live act PBN who came to perform a few songs once the dance floor had opened. Ricky and Raj, it was a pleasure being part of your pre-wedding events and your wedding day. We can’t thank you enough for choosing The Finishing Touch to not only become part of your family for a few days but also to capture your grand Sikh wedding.